For over 15 years, Darrin Leist, has been fighting hard to advance and defend the rights of individuals before the state and federal courts of Ohio. 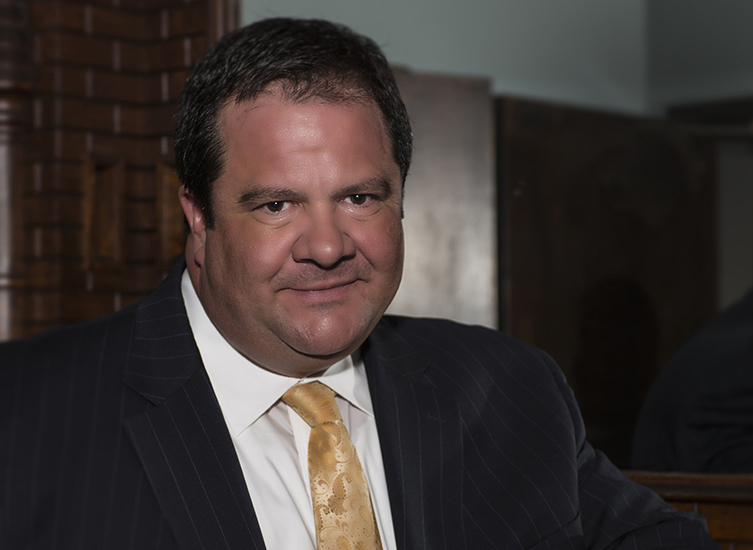 Darrin Leist has made thousands of court appearances during his years as a lawyer and is well-known for his passionate representation and compassionate counsel. Not every case proceeds to trial, but Darrin Leist recognizes that the success of your case depends on thorough preparation and attention to every detail as if your case is going to trial. And should your case proceed to trial, you can rest assured that you have a prepared, assertive, and experienced trial lawyer in your corner. When you hire Leist Warner, you hire aggressive, dedicated representation with a proven record of success. Darrin C. Leist grew up in Groveport, Ohio graduating from Groveport-Madison High School. He attended Denison University where he studied history and played football for the then nationally ranked, “Big Red”. Following college graduation, Darrin worked for seven years in government and politics throughout the state of Ohio before ultimately pursuing his lifelong goal of becoming an attorney. At 28 years of age, Darrin entered law school full-time studying at Capital University and Trinity College in Dublin, Ireland, before completing his studies and obtaining his law degree from The Ohio State University in 1998. Inspired by his mother, Jacque, a lifelong advocate for the sick, poor, and disenfranchised, Darrin was compelled to focus his representation in legal areas that directly impact individuals, their lives, their health, and their freedom. The study of law and his own personal life experiences strengthened Darrin’s resolve to level the playing field and advocate for those who need a voice. This is precisely why Darrin entered a new partnership with Pat Warner and opened Leist Warner – to make a positive difference in the lives of individuals. A 9th generation Buckeye and direct descendant of Revolutionary War soldier, Andrew Leist, Darrin resides in Blacklick with his beautiful wife, Theresa, and two wonderful sons, Aidan and Colin. Darrin attributes his success to his family and the commitment of his wife who without her support his pursuit of justice on behalf of individuals would be impossible. Darrin enjoys spending time with his family and cheering on the Buckeyes.